Kudat: Every Malaysian arrested by police and remanded by the court for any criminal offence is now entitled to free legal aid or service from a lawyer, said Deputy Minister in the Prime Minister's Department Datuk V K Liew. He said the legal aid service had been fully operational since April 2, this year, after training involving the country's lawyers since then, coupled with some reorganisation following the launching of the Legal Aid Foundation by the Prime Minister on Feb. 25 last year. Presently, any accused also has access to free legal aid if a particular lawyer who is a member of the Sabah Law Association agrees to do pro bono. Alternatively, the High Court can also assign a lawyer paid for by a special fund under the Judiciary. This also applies to foreigners. Speaking after visiting the Magistrate's Court, here, Liew said police are now obliged to inform suspects of their right to get a lawyer who is normally on standby. "These lawyers have been trained under the scheme run by the Bar Council, the SLA and the Advocates Association of Sarawak. The police will be supplied with a list of names of lawyers for the suspect to choose from. "Of course, this does not stop any suspect from getting the service of any other lawyer not provided for by the Legal Aid Foundation. This is when the suspect can afford to get the service of his own lawyer," he said. He said previously, no free legal service was given to any suspect arrested and remanded by the court. "They would have to pay themselves if they needed a lawyer. "Before April 2, only those charged in court, except for capital punishment cases, can apply for legal aid and they must satisfy the means test where they have to show an income below RM25,000 per year," he said. Describing it as the single most important development in the country's criminal justice system, he said he had informed Parliament of this development last week. Meanwhile, Liew was satisfied with the overall infrastructure of the courts in Sabah. "There are at the moment eight court buildings in Sabah each in Kota Kinabalu, Sandakan, Tawau, Beaufort, Keningau, Semporna, Kinabatangan, and Kudat. The rest are in the District Office of various districts. "The courts are able to function well and I must say above par. I'd like to congratulate every single judicial officer for doing a good job," he said. "We all know that Information Technology has caught up with the courts. Sabah and Sarawak are the two forerunners in the country in using IT in judicial proceedings. "We now have e-filing of legal documents like summons, pleading, affidavits, submissions and many others. Lawyers nowadays can do e-filing from the comfort of their office. "Kudat will start by June. I am told many other districts where there are law firms have also benefited from this. They don't need to travel to KK High Court just to file legal documents. "They have used video conferencing rather earnestly where lawyers need not have to go outstation just to do mention and hearings. A lawyer in Sandakan or Tawau or other towns need not have to go to KK Court or vice versa as the hearing can be done through video conferencing with lawyers and judges sitting at the other end. "It is live and every word is recorded. It saves lots of time and costs for the court, the lawyers as well as the litigants. Even the proceeding in court is electronic now, where transcription is done almost instantly É this is a far cry from my time," said Liew who was a practising lawyer until he took up public office in 2008. He said it showed that the legal fraternity had developed by leaps and bounds. "It is indeed a positive development. I have no doubt this will augur well for the further enhancement of our judicial system," he said. Also on hand were Tanjung Kapor Assemblyman, Datuk Teo Chee Kang, Director of Courts in Sabah, Ismail Brahim together with the Magistrate and judicial officers from the district's Magistrate's Court. Meanwhile, Ismail disclosed that the Mobile Court would be getting two extra buses from the State Government in addition to the existing one. "Hopefully, by end of this month, the buses will be operational and we will be able to use it to go to various districts to serve the people. "At the moment the service for late birth registration has been suspended. We expect to resume the exercise as soon as possible. We are looking into beefing up a certain department to avoid any abuse of the system," he said without elaborating. I read with interest a case where a punter sue an online gambling service. It bemuses me because I thought online gambling is in the grey area of either legal or illegal in Malaysia. Anyone can share your view with me on this. 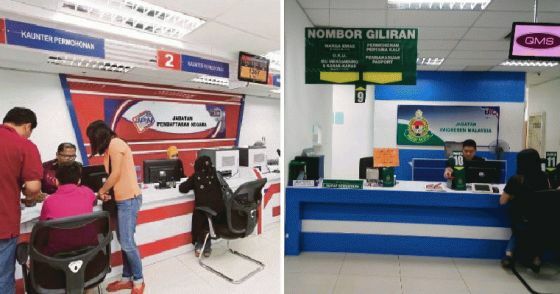 KUALA LUMPUR: A punter has sued an online gambling service for failing to pay out his winnings of more than RM260,000 as well as the newspaper that carried an advertisement offering the online gambling service. In his statement of claim, Chuah Yan Keng, a 43-year-old contractor, said he was lured by the advertisement that the company was offering a legal online gambling service. He said that when he won RM261,286.35 and requested payment from Teleplanet Sdn Bhd, the company refused to pay. Yesterday, Chuah, of Seri Kembangan, filed a suit at the High Court registry yesterday against Teleplanet and The China Press Bhd for breach of contract and breach of statutory duty. In the suit, Chuah claimed that China Press, at the request of Teleplanet, had printed an advertisement in the newspaper that contained fraudulent representation in relation to goods and services provided by Teleplanet and/or gambling websites such as Citi Net, Aastar Net and SBO Net. Chuah said that according to the advertisement, in order to participate in the online gambling, he had to deposit a specified sum of money into a bank account furnished by Teleplanet, against which he could place online bets. He said he paid RM150,000 into the bank account, and when he made losses amounting to that same amount, he paid Teleplanet. Yet, when he claimed his winnings of RM261,286.35, the company refused to pay up. He said the representation in the advertisement was that Teleplanet would make prompt payments on all winnings. As for China Press, Chuah claimed that it had published a misleading or deceiving advertisement as to the nature of the goods and services offered by Teleplanet. The contractor also claimed that China Press failed to make all reasonable inquiries to ascertain if Teleplanet was providing a legal online gambling service, taking into account the contents and nature of the advertisement, and that Citi Net, Aastar Net and SBO Net were known gambling websites. Chuah is seeking a declaration that the contract between him and Teleplanet is void and for an injunction to restrain both Teleplanet and China Press from causing or making or publishing a similar advertisement. Chuah is also seeking the sum of RM150,000 and RM261,286.35 in exemplary damages and other costs. PKR leader’s belongings sealed for failing to pay damages! GEORGE TOWN: Bailiffs sealed about RM12,000 worth of items in the home of a PKR youth leader here after he failed to pay RM30,000 in damages in a libel suit won by former Penang PKR Wanita chief Aminah Abdullah. The two bailiffs, accompanied by policemen, showed up at Jelutong PKR Youth chief Khairil Anuar Kamarudin’s home in Jalan Kota Giam in Jelutong at 11.05am yesterday with the writ of seizure and sale. A man, who is believed to be Khairil Anuar’s father, tried to stop journalists from taking photographs at the house. “That’s my house and you cannot go near it,” he said while gesturing for the media to leave. However, after negotiation with PKR members, the press were able to take some photographs from outside the house. The bailiffs took about an hour to tag and seal items in the home such as electrical goods and furniture. “The items will be sealed for 14 days in the house and if Khairil Anuar fails to pay the RM30,000 by then, they will be auctioned off,” said Aminah’s counsel Saiful Ambar Abdullah Ambar. Khairil Anuar, 33, said he lived with 11 other people in the house, including his parents, his wife and their five children. He was at home when the bailiffs came. Aminah, who quit PKR in July 2007, had brought a libel suit against Khairul Anuar who was then the Jelutong PKR secretary, former Penang PKR Wanita chief Norhayati Jaafar and Bukit Mertajam PKR division deputy chairman Jab Samat over an article carried by the PAS party organ ‘Harakah Daily’. Penang High Court judge Var­ghese George Varughese ordered the three to pay Aminah RM30,000 each in general damages over their statements in the article titled ‘Kenyataan Aminah bertentangan syariat’ (Aminah’s statement opposes Islamic laws) published on May 2012. Bailiffs had showed up at Norhayati’s house in Bukit Mertajam on July 11, 2013, with a with a writ of seizure and sale. PKR later settled the sum for Norhayati. PUTRAJAYA: In a landmark decision, the Court of Appeal has ruled that Section 3(3) of the Sedition Act is unconstitutional. A three-man panel chaired by Justice Lim Yee Lan said that intention must be proved in every sedition case. Justice Varghese George Varughese read the judgement during proceedings Friday. He said Section 3(3) was in violation of the constitutional right of freedom of speech. Sri Muda assemblyman Mat Shuhaimi Shafiei filed an appeal challenging the constitutionality of the Sedition Act in relation to seditious tendency and its penalty. When approached by reporters later, Mat Shuhaimi's counsel N. Surendran said that the prosecution must prove the element of intent. "Now we have to go back to the High Court to sort out the issue as it has serious impact on all citizens," Surendran said. In February, last year, High Court (Appellate and Special Powers) judge Justice Asmabi Mohamad dismissed Mat Shuhaimi's civil action and ordered him to pay RM2,000 in costs to the Government, named as the sole defendant, in the case. Justice Asmabi also dismissed an application to stay the proceedings at the High Court to refer a question of law to the Federal Court for determination with costs of RM4,000. "I am mindful to dismiss this (stay) application with costs on grounds that it is an abuse of the process (of the court)," Justice Asmabi held. In his originating summons filed in September last year, Mat Shuhaimi, 47, sought for a declaration that Section 3 of the Sedition Act, read with Section 4 of the same Act violates Article 10(1)(a) of the Federal Constitution and is therefore invalid. Section 3 of the Sedition Act touches on various conditions of seditious tendency while Section 4 explains penalties involved. Article 10 states that every citizen has the right to freedom of speech and expression. Mat Shuhaimi, who is also the Selangor Mentri Besar's political secretary, had on Feb 7, 2011, claimed trial for posting a seditious publication in his blog. KUALA LUMPUR, Aug 13 — Lawyers’ staff no longer need to go to court here before dawn to beat the queue and to file documents as the judiciary claims that initial problems with a new e-filing system have been resolved. Malay Mail Online was told that office clerks and despatch workers even had to be at the Kuala Lumpur court complex by 5am or 6am as recently as June and July, just to get the limited 200 queue numbers issued daily or risk having to return another day to file their documents. When contacted, the judiciary’s e-Kehakiman division said the “sudden increase” of users at the KL Court e-filing service bureau’s counters during the transition period in June was due to “teething problems” faced by those who were trying to migrate from the E-Court system’s first phase to the second phase. Some of them had to do filing at the service bureaus then, it said. “The teething problems for online filers had been sorted out and as at [July 31, 2017], number of users at the service bureau had significantly reduced and there is no longer a need to impose any quota for issuance of queue tickets,” it said in an email response last week to Malay Mail Online’s queries. “There is no more problem of long queue,” it said. The e-filing system was introduced in March 2011 and was one of four components of the E-Court system for peninsular Malaysia, which underwent an expansion and upgrade to phase two during May to July. This online system allows law firms to file court documents at anytime and anywhere — even for a case in another state, instead of being bound to the courts’ office hours. Courts also use this system instead of keeping physical documents like in the past, with the courts’ filing counters now known as e-filing service bureaus where court staff help with the online filing of documents. Noting that filing in court was previously an efficient process, he claimed that the limited queue numbers issued daily was intentional to push lawyers to use e-filing. Already nudging lawyers in the direction of going digital is the RM1 fee for every page of document that e-filing service bureau staff converts into a digital version by manually scanning it into the courts’ server, as the alternative of paying RM10 to submit a CD containing the soft copy of documents you pre-scan at your office would be far more economical if you have bulky documents to file. These fees are part of standardisation of a list of e-filing service bureau charges that kicked in on August 15, 2014. But eventually these fees would be unimportant for lawyers, as the judiciary’s e-Kehakiman division recently told Malay Mail Online that all law firms will be required to file their documents online directly through the https://efs.kehakiman.gov.my website by the end of December 2017 and that this is “based on consensus with Bar Council”. During Malay Mail Online’s visit to the Kuala Lumpur court complex on July 27, the queue appeared to have tapered off to a manageable level of about 20 queuing at 7.10am and about 50 people in the line by 7.50am. Bags, newspapers, documents served as their stand-in for the queue. Each person is usually entitled to two queue numbers, as limited filings can be done with each queue number. 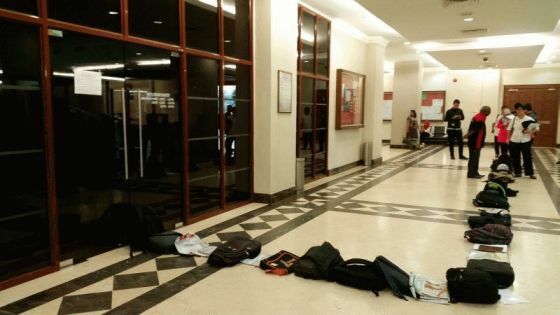 This is in comparison to accounts of the queue stretching twice as long during the transition period and snaking all the way to the main glass doors of the KL court complex, with complaints to Malay Mail Online of missed or near-misses of urgent filings as numbers ran out in the initial stages. The filing counters’ official office hours start from 8.30am, but queue numbers are issued as early as 8am. What is "Pleadings" in Court? At the beginning of a lawsuit, the parties formally submit their claims and defences. IN civil litigation, the word “pleadings” is used by lawyers. What does the word mean and what does it involve? Sometimes it is argued that a claim cannot be made because the matter is not pleaded and that therefore it cannot be relied upon. One reader says that he has come across cases when a contention has been made to have a case dismissed because some particular matter was not pleaded. In matters that come before the High Court and the Subordinate Courts (which comprise the Ma­­gistrate’s Court and Sessions Court), the subject of pleadings is governed by the Order of the Rules of Court 2012, Order 18 and the rules made under it. It is said that a pleading does not include a notice of application or a preliminary act. Order 18 Rule 1 states that unless the court gives leave to the contrary or a statement of claim is endorsed on the writ, the plaintiff must serve a statement of claim on the defen­dant or, if there are two or more defendants, on each defendant, and shall do so either when the writ is served on that defendant or at any time after service of the writ but before the expiration of 14 days af­­ter the defendant enters an appearance. This means that a statement of claim could either be endorsed on the writ itself or prepared separately and served at the same time. Otherwise, the statement of claim could be served after the memorandum of appearance has been filed. Every pleading is required to be divided into paragraphs numbered consecutively, each allegation being, so far as convenient, contained in a separate paragraph.Dates, sums and other numbers need to be expressed in figures and not in words. Every pleading of a party must be endorsed, where the party sues or defends in person, with his name and address and in any other case, with the name or the firm and business address of the solicitor by whom it was served. Every pleading of a party shall be signed by the party’s solicitor or by the party, if he sues or defends in person.Once the writ of summons and statement of claim is received by the defendant, this will be followed by the filing of a memorandum of appearance and defence by the defendant and, after that, a reply which will also be part of the pleadings. A defendant may, on the other hand, have a claim or say that he has a claim against the plaintiff. In this connection, he will prepare and then forward, together with his defence, his claim which is referred to as a “counterclaim”.This is also part of the pleadings. In the context of a counterclaim, he becomes the plaintiff and the plaintiff becomes the defendant.Of course, they continue to be referred to as “plaintiff” and “defen­dant” as at the initial point of time of commencement of proceedings. Every pleading must contain a statement, in a summary form, of all the material facts on which the party pleading relies for his claim or defence. However, it is not to include the evidence by which those facts are to be proved, and the statement must be as brief as the nature of the case admits. Pleadings will set out the framework of the plaintiff’s claim and the defendant’s defence, the framework of the defence. This is also the case with the “counterclaim” and “de­­fence to the counterclaim”. While each party sets out the framework, there are certain aspects that need to be specifically pleaded. In this connection, Rule 12 sets out the requirement: “... every pleading shall contain the necessary particulars of any claim, defence or other matter pleaded including, without prejudice to the generality of the foregoing words – (a) particulars of any misrepre­sentation, fraud, breach of trust, wilful default or undue influence on which the party pleading relies; and (b) where a party pleading alleges any condition of the mind of any person, whether any disorder or disability of mind or any malice, fraudulent intention or other condition of mind except knowledge, particulars of the facts on which the party relies”. There could therefore be matters where the main contention has been pleaded but some details have been left out. Can or will the claim be dismissed, just because some details have not been set out in the pleadings? If an objection is raised during the course of the trial that such details have not been set out, a party can always apply for amendments to be made.When the opposite party does not raise an objection to the evidence being led on matters arising out of what would otherwise be further details, it could be said that the other party has waived its right to object. However, if the substantial cause of action or ground on which the party relies is not pleaded, it could be fatal. This could be best left to be discussed at a later date. Act 355: How would it affect the Masses? Can any elaborate how this Bill would affect Civil Courts Judiciary System? Putrajaya: The Government may introduce a law to make stalking a criminal offence, said Minister in the Prime Minister’s Department Datuk Liew Vui Keong. It would obtain the views of various stakeholders, including NGOs and members of the public, he said. PUTRAJAYA (Bernama): The Federal Court reaffirmed Wednesday (Jan 30) that a person who lodges a police report and reveals its contents to the public can be held accountable for defamation. Justice Tan Sri Azahar Mohamed said subsequent publication of the contents of a police report by its maker to the public was not protected by the defence of absolute privilege, save where the contents of the report were made in or in connection with judicial proceedings. While the news of the man yelling at the staff there has gone viral, that is not the way to resolve the issue. In fact, there are actually other more efficient and better ways to air any grievances you have against the service of government servants. You can file complaints at the Public Complaints Bureau (PCB) about any issues you have on the administrative actions and decisions of the Malaysian government, ministries, department and agencies at the federal, state and local level (except in Sabah and Sarawak which is only at the federal level) which may be wrong, unjust, unlawful or just plain unfair. It is part of the Prime Minister’s department and is responsible for handling any complaints you have. Anyone can lodge a complaint on the website but of course, make sure you have enough supporting evidence to do so. It’s pretty easy to do so too; just click on “Lodge Complaint” then fill in the details of the incident. This is where you include any photos or videos as evidence and then after that, just click “submit”. If you’re wondering what happens after, you can always check on the status of your complaint on the website as well. It was previously reported in NST that with the establishment of the new government, our Prime Minister, Tun Dr Mahathr Mohamad has plans to transform the PCB into Ombudsman Malaysia. An Ombudsman Act will be drafted and the ombudsman will no longer be in the Prime Minister’s department; instead, it would be a free, independent body that would remain impartial while investigating bureaucratic abuse. While the Ombudsman has not been formed yet, we can still use the PCB to report any complaints we have on the website. Hopefully, the new Ombudsman will be created soon so that Malaysians can have a safe and legal way to direct their complaints to the relevant parties.